Columns are those structural elements which predominantly carries axial compression in a structural system. In steel construction, the column is the vertical member which is subjected to axial load and strut is the inclined member subjected to the same. Steel is a very strong material but it does lead to slender members. Each and every joint should be checked against the force which it will experience. 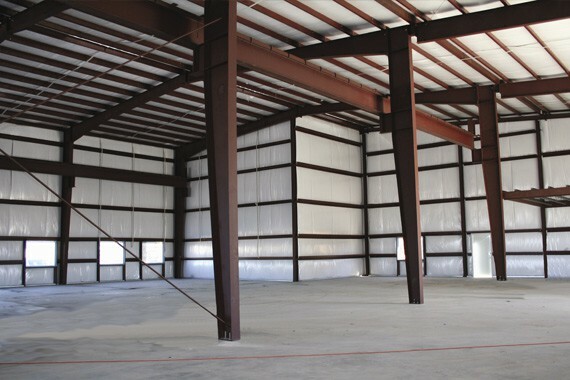 End conditions – how it is attached to other parts of the structure or foundation. The structural concept of the global structure of which it is only a part (i.e. braced, unbraced, sway frames cantilever etc.). The presence of local transverse loading or eccentric axial loading. The presence of simultaneously acting bending moment and shear, as in multistory rigid frames. Squashing capacity– as in a very small stocky column where the yield stress Py may be applied uniformly over the whole cross-sectional area. Here the failure occurs when direct axial stress is higher then the yield stress.This can be averted if the cross-section of column is increased accordingly. Flexural buckling capacity – as in a slender column where the column deflects laterally about the weaker principal axis and the failure occurs before the entire cross-section can be loaded to the yield stress Py. 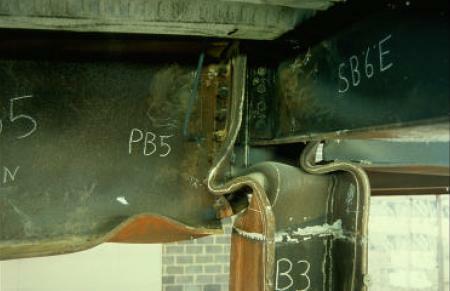 Torsional buckling capacity– as in an unsymmetrical shape made of thin plate thickness where the member twists about its longitudinal axis and failure occurs before the section can attain the yield stress Py. This type of failure is very uncommon and is normally encountered in cold-formed thin sections. Local buckling capacity – as in a section where the proportion of individual elements is such that the whole member may not behave as a slender column (as in case 2 above) but local elements may buckle before the yield stress Py is attained. In these cases, the local elements prone to buckling, because of their geometric proportions, must be designed with reduced design strength Py in compression. Local failure capacity – as in a compound section where the compound column as a whole is stronger than its main components. In a compound column the main components are tied together by lacing or battens. The main components may buckle about their weak minor axis between the points of restraint by the lacing or batten system. In this type of failure, there are high local stresses which are developed at odd locations of the member which causes the beam to show some strange behavior and fails in certain area. This in turn causes stiffness reduction in beam in spite of which it continues to carry the load. 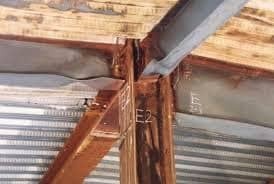 This failure is a good failure as it reveals that the structure be repaired or destroyed.